The following are notes from a presentation I made on May 16, at Wayne-Finger Lakes BOCES during a conference on Personalized Learning. The notes have been revised into their current form and to be read. What I’d like to propose today that all teachers and students should begin to blog. Blogging, in all its forms, varieties, and definitions, its glorious uncertain malleability, is the perfect vehicle for personalized learning. I’ll talk about the how I blog as a educator, the roll blogging plays in the work of teachers and students, some look at various platforms and how I use blogs in several of my English classes. The talk will move every so slightly beyond blogging to look at how I use a variety of tools in working with students to teach writing and communication skills. Using these apps–like those in G-suite or Flipgrid–in concert together allows me to create a classroom space where students have a high degree of choice over the topics that they learn about, are able to move at their own pace. First, I have great reservations about speaking at a personalized learning confernece, because I don’t really know what it is, and if what I do with some of my students reflects what this is. After the conference proposal for this talk was accepted, I went out onto the web, to see if I could figure out what personalized learning was. According to Sean Cavanaugh, associate editor as Education Week, personalized learning is teaching that meets students needs, there are competency-based progression, flexible learning environments, high expectations but choice in paths to follow, and works in conjunction with a learner profile that records student strengths, needs, motivations, and goals. And, while this was a jumping off point to me, I myself see personalized learning as a teacher creating an environment where students are able to learn and to explore what they want to learn about, while engaging in learning behaviors that enable them to become life-long learners, and autodidact in nature. Second, I make no claims about the value or worth of my blog or my blogging or of the blogging that I ask my students to do. You might have your device in hand currently, and are looking to find my wordpress blog, read it, and say, there’s some real crap there. That’s true. And, what I would argue, is that this is good thing. Blogging isn’t about the perfect end, the finely editing, perfected piece. It’s about learning in all it’s glory. And, this is why we should do it. There are 2 answers to this question. So, a blog is essentially a website which you have complete control over in terms of form and content. Its appearance, design, and layout are largely determined by you. In this context, there are blog posts and blog pages. Blog posts are generally more dynamic because they grow and scroll depending on how much content you put into them. Pages are static, and contain information about specific topics: for example, I have a page that I update on what I’m doing, a page about running in the Fingerlakes, and about lessons and projects that I do. Depending on the platform you are blogging on, you will have more control and options, and if you start to invest money, the possibilities of what you can do on your blog increase. Second, there is the blog, or blog-post, this is a piece of writing that shows up on your blog, and that has some kind of message. A reflection on your day, on a lesson that you taught, an argument for an educational practice, a list of the best books for the first ½ of the 2018 year. While blogs share rhetorical characteristics of their analog counterparts–they are written for a range of purposes, such as informative, argumentative, analytical or evaluative–they are a communicative genre in their own right. The structure of the blog post is different from an essay, there is the ability to create posts that are multi-modal in nature and include video, audio, image, and because they are written for the web, they can be hyperlinked, include embedded documents, and provide an experience which allows for the readers to interact with the writing itself by access the media, but also, commenting and adding to what is written. But, one of the best ways we create pathways for personalized learning is through blogging as teachers. By creating a blog, we give ourselves a place to write down our thoughts, to reflect on what we are learning in our classrooms, to record lessons. But we also have a space where we can connect with others and follow and read their blogs. As George Couros, author of the Innovator’s Mindset, writes that the value in blogging is “To share, to develop and to archive. “Couros goes so far to say that it’s the job of educators to blog. To quickly summarize his argument, he claims that if reflection is a key part of our practice, a required part of our practice, then blogging is a way to reflect, sharing our voice, and being accountable to others. As teacher-bloggers, we are modeling an important process for our students, we are modeling the process of life-long learning and being auto-didactic, if personalized learning is the act of becoming auto-didactic. Our blogs can act as models for student about the learning process. How we research and collect sources, how we curate these resources, the development of the products that we make for our classes. We can model for them how we ourselves create products. So, a blog, the writing we put there is important in nurturing our own personalized learning, and to show students that we our learners ourselves. Of course, this opens us to the exact kinds of scrutiny that we as educators don’t like. Many of us are private about what goes on in the classroom, we fear others coming to observe us because we fear the criticism and evaluation that can come from this. There are other problems. If I’m reflecting on a lesson that goes badly on my blog, does this reflection include lack of participation from my students or their lack of engagement. As teacher-bloggers, we need to consider our content and its connection to our audience in ways that we might never have before. What can we do with blogs with our students? And, how does blogging help us to develop more personalized learning? As with educator blogging I discussed above, blogs offer an opportunity to record their thinking, and gives them a reflection space. Blogs offer students a research space as they might be exploring ideas for a project, they can write about what they spent their time reading, and what questions they have and what questions they found answers to. Blogs offer students authenticity. They are written for a community or public (more on this in a minute) and they are going to be read. If you are not going to let students publish their blogs to be read by at least other students, they should write in a different format and venue. At least let other students read, but perhaps consider finding avenues for other teachers, parents, and other students in the building read. Edublogs makes this possible in the sharing settings of the classes you create. Blogs can also be a portfolio space. Students can create project pages, these pages can contain picture of process, final products, a reflect that is either text-based, or in some other mode like audio or video. Blogs with students become an important artifact. Couros writes that all students leaving high school should have the following: a personal learning network, an about me page and x…We can help students cultivate their online presences and develop a digital footprint that represents the best about their academic selves. Blogs offer a chance to write real-world texts for current trends in media. They are not essays. They are unique, and if students are going to be competitive in 21st century economies, they have to know how to produce real-world texts. These elements are all possible by using a blog. When we are deciding to work with blogging with our students, here are the things we have to decide. Duration–for one unit or for whole year? Privacy–Who will have access to reading posts? Commenting…required or suggested/asked. Content–Does the teacher provide topics or do students find their own? Reflection–How and when do students learn from the experience? Quality–Finely polished summative pieces, or works in progress as part of students process? Control–Who maintains and supervises? Of course the teacher, but to what degree? What is the value in a student blog? Certainly, the value and the dangers and pitfalls are the same. When students are “naughty” we have problems with codes of conduct, there can be threats to security and to privacy. At the same time, we have the ability to raise these conversations with students within the context of them become makers for the web. We turn them from consumers of YouTube videos, and empower them by giving them a space where they can make and create. We need to look at the kinds of blogging we can do. Are we going to create a class blog, one in which the teachers control all aspects. A teacher posts an assignment or question, and students post comments or responses to this. The teacher can moderate these posts, and as the posts go up, others in the class can view and comment. Another way to blog with students is to create an actual blog for each student, where the student has control over the format, appearance, layout and content. What the blog gets filled with is up to the teacher, beause of assignments, but in open-ended assignments, we have the opportunity. I put final practice on a presentation on making this afternoon on blogging as educators and using blogs with students. You can see a copy of my slides here. I’m going to try to clean up my presentation notes and post them in the next few days. The other part of my work in the past few days has been around creating a professional development session for the end of the school year. Let me give some details. I’m planning an end of the year professional development activity. Given the strange timeline of the New York state Regents exams in June, our district has found itself with the unique opportunity to do professional development in the last days of teacher reporting. There is a degree of righteousness in this belief. After all, the school year is a marathon endurance test from which hard-working teachers often limp across the finish line desperately in need of some water and a rest. In my mind, this feels like a kind of defeat. Can’t we have an end of the year, where we do something to either celebrate what we’ve accomplished, or to think towards the following year and how we’ll build on and trump best practices. For many of our committees and in terms of our district goals, there’s still lots to work. We just finished our first year of a 1:1 Chromebook implementation, a use of Schoology enterprise, and a number of other digital tools. Plus we have wellness initiatives, character education and a movement around engaging students. There’s still plenty of work to do. Continue to Build capacity for using Schoology. Raise awareness of the Digital Skills Map. Moral and spiritual support from administration and CALTs: These people have too many responsibilities in the last days of school to be responsible for this event, but at the same time, such a new event needed a top-down approach. Capped at 2 hour time frame: Again, because this was a new event in our culture, a short, 2 hour time frame was an opportunity to start to build success. Equitable to other buildings: All of our district buildings are involved in PD for roughly the same amount of time. Scaled and differentiated to range of skills and talents of our teachers. Anything created in Schoology would need to be replicated in August/September. Will Ts see value in creating in the last 2 days of the school year? Structure of session: Starting point together in auditorium; closure in auditorium; sharing? Where I’m at with this? Last Friday, I had my breakthrough. We’re going to play a game. While this game currently doesn’t have a name, theme, brand or prizes, it does have structure. Room 121 from 8:30 to 9:30 Post your course syllabus to each of your courses in Schoology or show that you have done this to your current courses. (Schoology/CA Braves Scavenger Hunt) Create a series of folders for a Schoology course to get organized or show how you have organized your courses. Create a Schoology page on a topic you are teaching next year. The page must include a hyperlink, a video, and an embedded Google Doc. Learn about a new feature in Schoology like Completion Rules, Conferences or Gradebook. Create something that shows this new knowledge. Access the End of School Year Digital Clean-up resources and complete 3 of the activities. Presentations from x at y; z at r; a at b.
Dan Bowman & Tracy Lindsay Access a copy of the District Digital Skills Map (Click here). Highlight skills that you think your students have; underline skills that you work to develop with your students. Work with others who have shared students (either by department or grade level) to come up with ideas on how you might promote skills in the digital map through lessons or projects next year. Access the Common Sense Media digital resources for teachers (Click here); find lessons or materials that you could use with your students and that have connections to your content area. Put these materials into some form of assignment in Schoology. Check out the following educational bloggers or resources. Find something that you might use in the fall: Shake-Up Learning; Ditch that Textbook; Put the materials into Schoology. Find a group of 5 teachers, read this article and have a short discussion about it. Help Desk: There are lots of great tech tools for formative assessment: Kahoot, Quizlet, Quizizz, or Schoology. Learn about a new one. Create a 10 question quiz using a new formative assessment tool like Kahoot, Quizlet, or Schoology. Read this article about formative assessement with 5 people and then have a short discussion about it. Share your takeaways on this Flipgrid. Do something you need to do for 10 minutes: make a phone call, schedule an appointment, enter grades, clean-up your room, finish something on the check-out list. Find someone in a different department, discuss a formative assessment they use. Share and collaborate on a creating a new format. Create a BINGO Board, like this one or a Tic-Tac-Toe board, for your students to do next year in one topic or unit. Click here to learn more about choice boards. Steve Holmes Access the Nearpod store and find a lesson you can use in September of next year. Add it to your library. Turn a PowerPoint or Slide Deck you use in the fall into an Interactive Nearpod with 5 activities. Create a Nearpod that you can use with parents during Open House next year. Click here to learn more about Nearpod for Parents. Work with others to create. Find someone who has never done a Nearpod, and help them make their first one with at lesat 5 slides and/or activities (both people get points). Look at the collection of Digital Citizenship Nearpod Library. Find one that you can do in the fall with your students. Add it to your library and make edits to work for your class. Katie McFarland in Atrium Set up an educational Twitter account. Follow 5 educators who Tweet in Canandaigua and 5 people outside of Canandaigua. Follow 5 new teachers/educational Twitter users. Tweet about doing the each of the activities you do in this game. Use the hashtag #Canandaiguaproud Create a Twitter activity or assignment that your students could do in your class next year. Click here for ideas about using Twitter with students. Teach someone who doesn’t know about Twitter to set up an account and start Tweeting. Help them tweet about this game using the hashtag #canandaiguaproud and get 5 followers. Well-being–Connecting & Culture Come up with a new “Get to Know You” activity that you can use in the first few days of school. Share your idea with a teammate. Click here for an article about connecting with students for some ideas. Read this article about mental health first aid with 5 people and then have a short discusison about it. Each group member must share a takeaway on this Flipgrid. There are lots of cool opportunities for professional development over the summer. Click these links to learn about them: Go to the libary, browse the collection and sign out a book to read this summer. See John LaFave’s presentation on mental health first aid. Go to room x at y; z at t; or a at b. See activities for individual times and locations. Get signed up for Healthy Rewards. Go to room x at y; z at t; or a at b. Take a tour of the Fitness Center; got to the center at x or y for the tour. What are your some of your wellness or fitness plans for the summer. 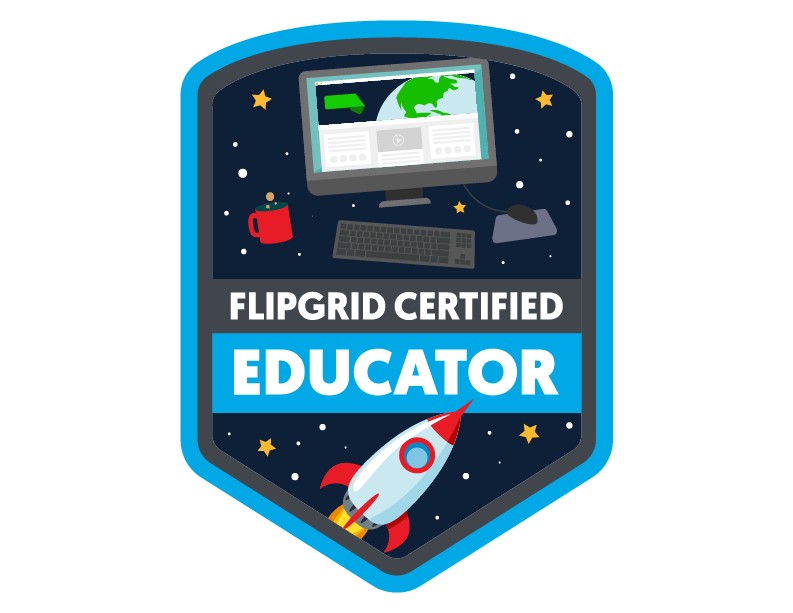 Click here to share them in a Flipgrid. Take a golf swing lesson. Go to the fitness center at x, y or z for a tour. Looking to get started running? Listen to X’s tips at x in room. In addition to the choice board, teams will have rules to follow, ways to gain bonus points, and chances to block and attack other teams. I’m finalizing the board, working with others to get a theme, additional bonuses and blockers, and set short presentations. With this format and structure, I think we have a good chance at success and using time, which is hard to come by, to get our teachers to continue to develop their skills.